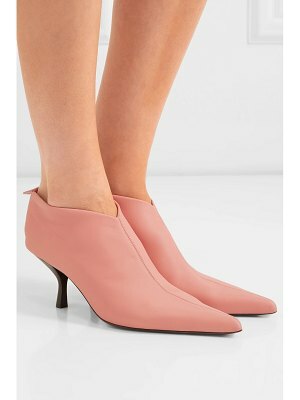 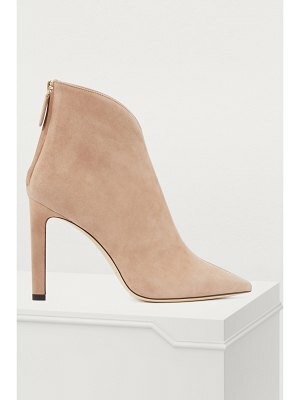 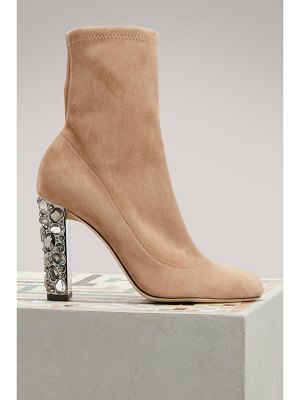 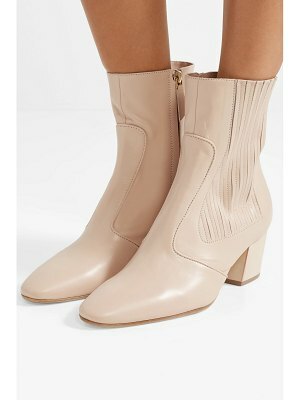 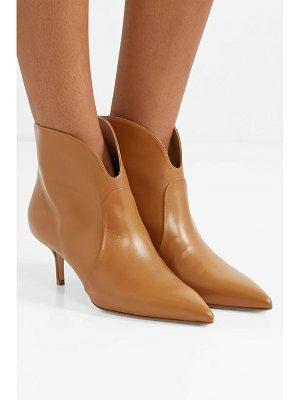 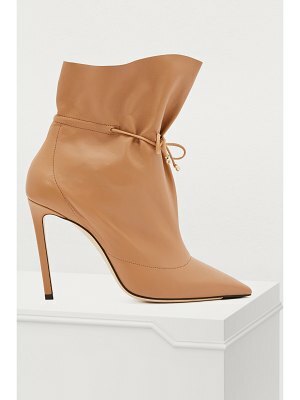 Jimmy Choo - Jimmy Choo's tan Stitch boots are distinguished by drawstring ties that softly cinch the ankle. 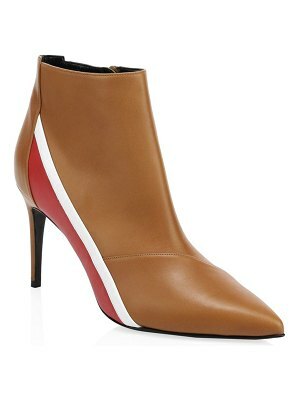 They're crafted in Italy from butter-soft leather to an elegant point-toe silhouette and set on slim stiletto heels. 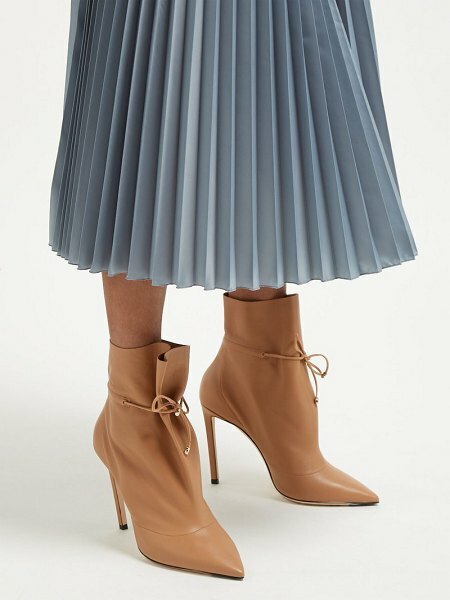 Style them with a roll-neck sweater and finely pleated midi skirt for an early evening gathering.